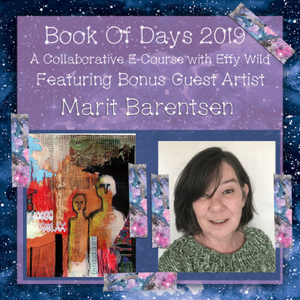 First of all – because I bet you came to find out – THE WINNER of my give-away is ****SARAH BRENNAN**** Congratulations Sarah, you won a spot in Book of Days 2019!!! That little box contains fountain pen nibs – a lot of oldies (I think I got this box from my mum ages ago) and a number of new ones in several thicknesses that my friend Lena gave me for my birthday. 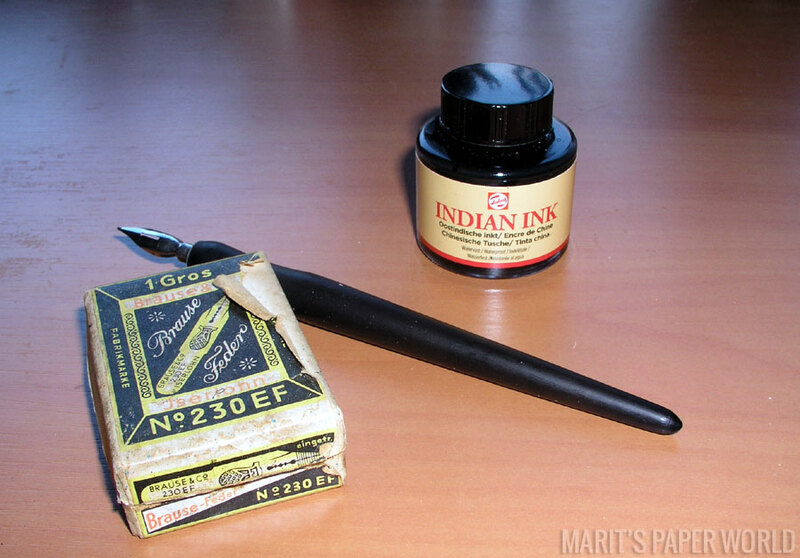 I’m all into Indian Ink at the moment so this ‘set’ lives on my desk for now. I haven’t shown a drawing in a few weeks, you thought I stopped with the drawings? Well, you’re right, sort of… I skipped drawing for a few weeks but I plan to pick it up again real soon – one drawing a week isn’t very hard to do after all. After a (heavy!) rainy day this morning started with sunshine – the air is crisp, the woodpecker hammers his song into the trunk of the old oak and the day is calling me outside… I hope you enjoy your day as much as I am planning to! 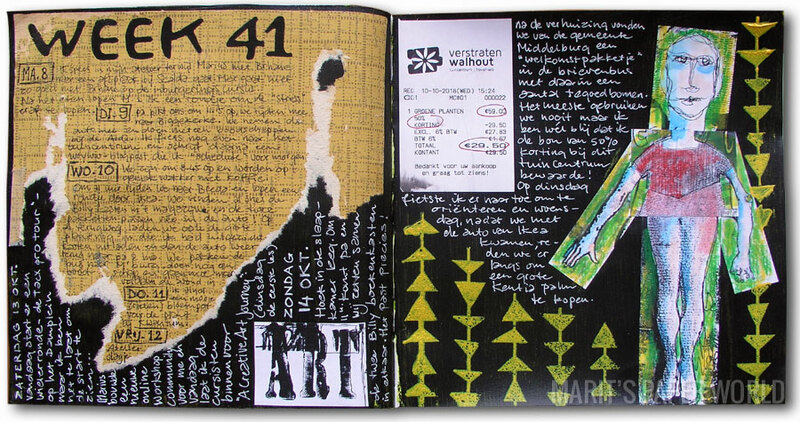 Your journal pages are fabulous, Marit. I particularly like the dark, moody one! Great work. Your drawing skills are superb, and what a beautiful little vintage box of pen nibs. Loving those journal pages and your wee sketch. I’ve been doing even more drawing than usual recently it takes my mind off things which can only be a good thing right..? You’ll have hours of fun with those nibs Marit, I used to have boxes of them back in my college days when I studied Calligraphy and although nibs are a lot less *scratchy* now there is nothing like the feeling of using a traditional nib and ink pen especially if you look after them. Well done Sarah! 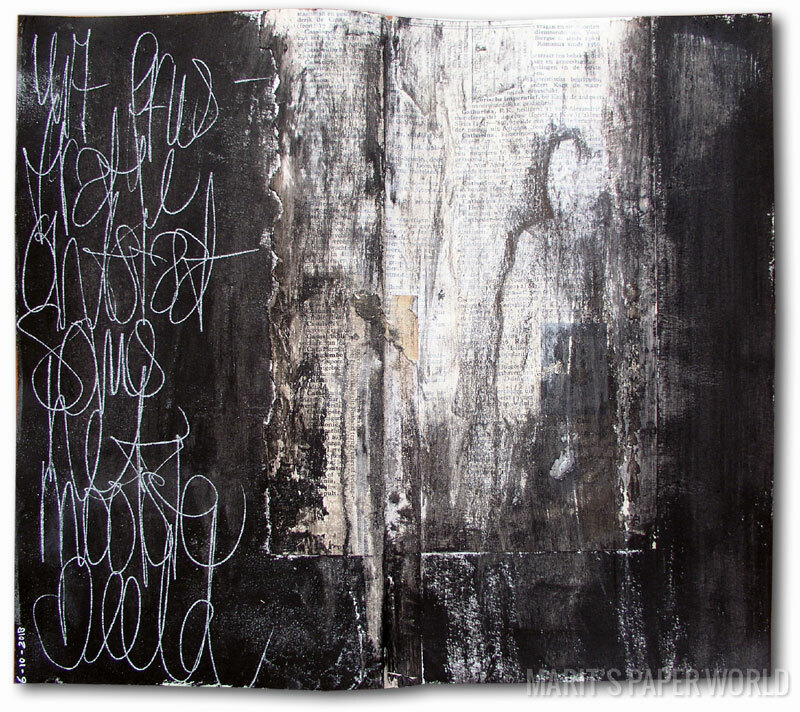 Your journal pages are amazing and the dark moody one is very evocative. Love that vintage box of nibs, I used to have something very similar! 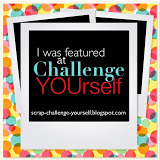 Fun post…your pages are awesome. I just found one of the old pens and nibs when I was rearranging, I remember playing with them at my grand parents. Lots of birds flying over heading south for the winter. We have had beautiful fall weather. Have a great week. So glad the weather is better especially as my son is over in Amsterdam for a short holiday. Love the dip pen, I have been thinking f getting one of those glass pens for myself – do you know anything about them? I love the loopy wild text on the Frustration page. And as usual, all the text in the Chronicle,love how you use the text to create background and texture. The picture of your phone is something else Marit, I mean, if I had to do a picture of such quality every day, I’d be behind before the end of the first day! I’m running late this week and Thursday here is grey and wet, but like you, I managed to make the best of a good day yesterday. It’s good for the soul isnt it, the dry sunny days of autumn. I love the loopy writing on the Frustration page, your texts always add texture and interest, the Chronicles page is a fine example of what I mean by that. Its a skill, knowing how much room you have left as you write! I’m late to visit and Thursday is grey and damp, but yesterday was lovely; good for the soul, these sunny autumn days! Thank you for your return visit, Marit, and I’m so glad you enjoy reading my blog! 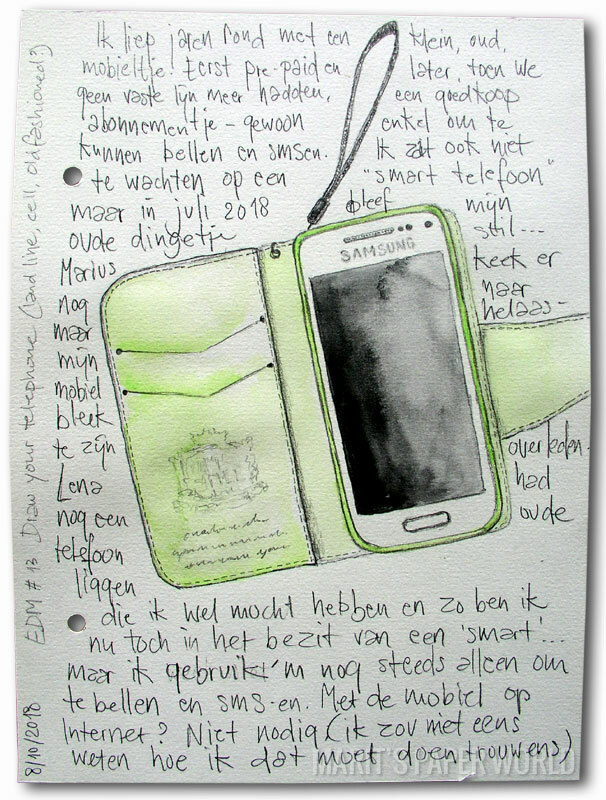 Nice phone drawing! I’ve got a Samsung too. And love the two journal spreads, so yummy.